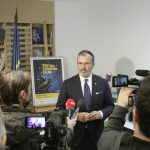 The seventh European Film Festival was launched in Belgrade on 30 January, following the screening of a Romanian film “The Anniversary.” Over the next 10 days the audience will have a chance to see 27 films from 20 European countries. 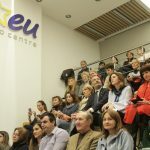 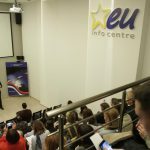 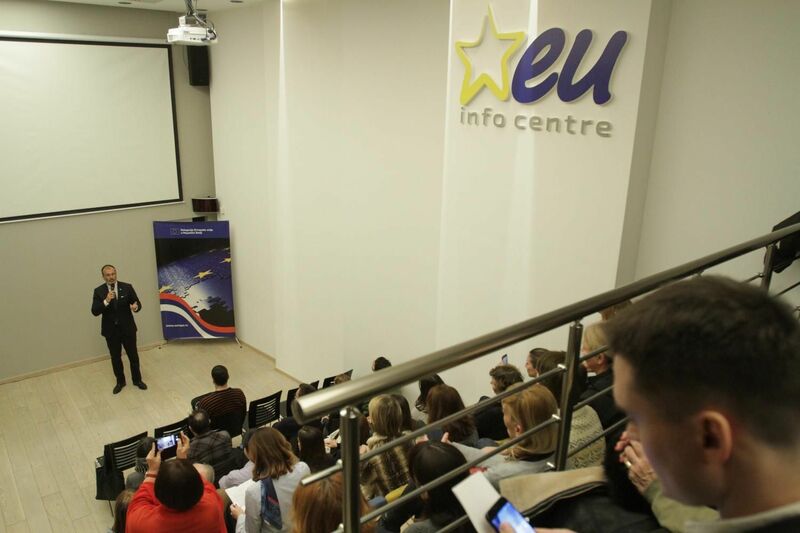 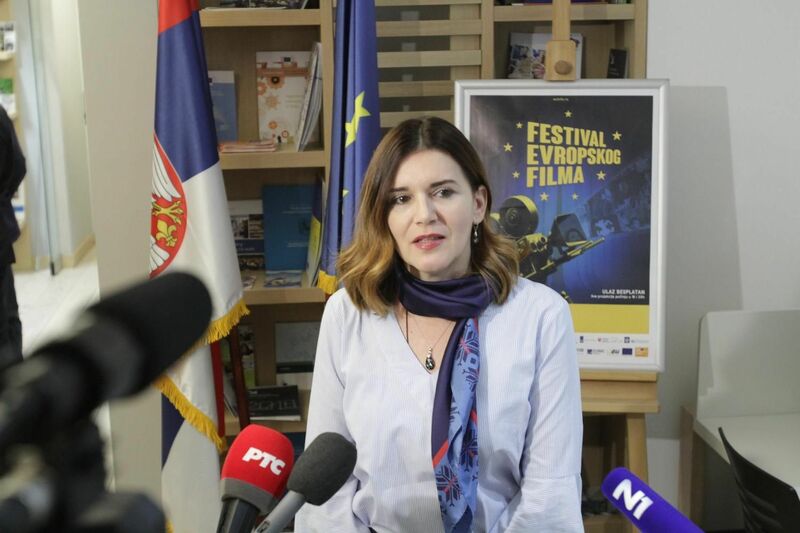 The European Film Festival was inaugurated last year in May in Zajecar under the motto “Our heritage: Where the past meets the future” and after visiting 14 cities, it will wrap up in Belgrade, with screenings taking place at the EU Info Center. 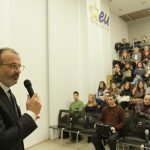 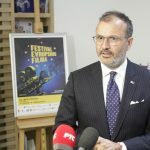 Head of the EU Delegation to Serbia Sem Fabrizi pointed out that the Festival, visited by more than 6,000 people across the country, brings the best of the European cinematography. 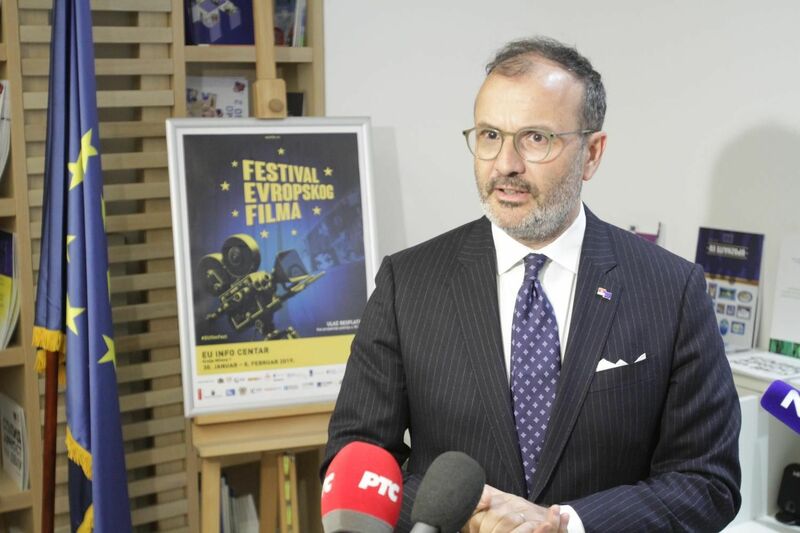 According to him, the initiative to discover and explore Serbian and European cultural heritage through cinema continues in 2019. 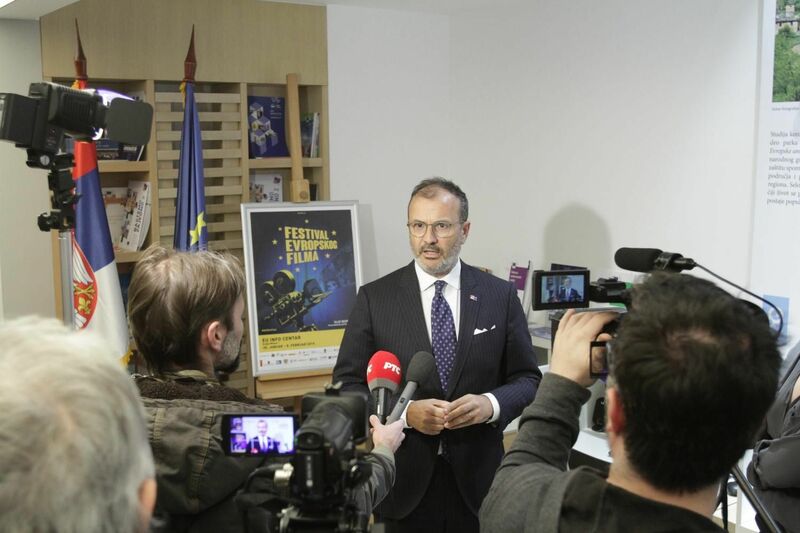 Given that Romania is presiding over the EU, the Belgrade edition of the Festival was opened by a Romanian film “The Anniversary” released in 2014 and directed by Dan Chișu. 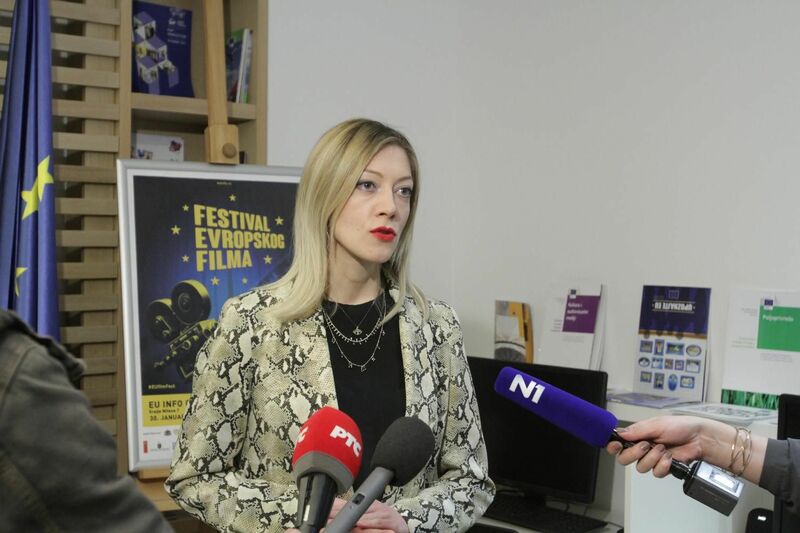 Romanian Ambassador to Serbia Oana Kristina Popa said that the Romanian cinematography made a significant comeback in the last 15 years. 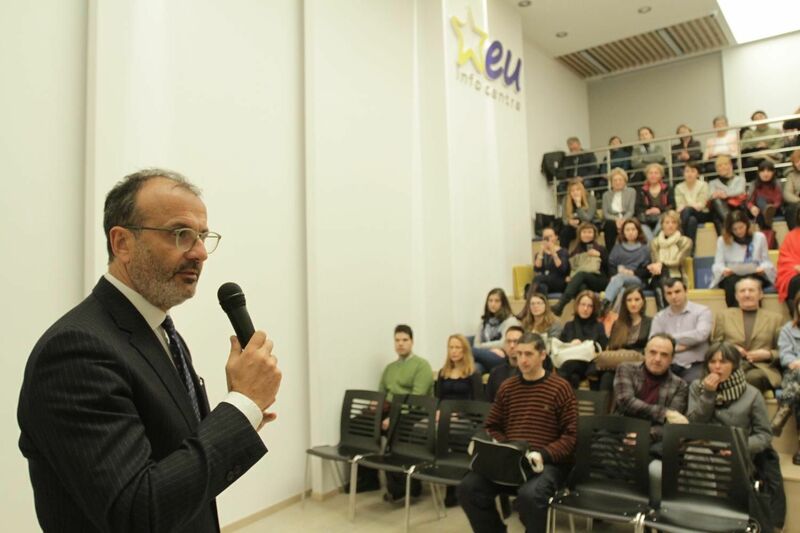 Being a member and presiding over the EU, recognising the power of culture, we want to show that the culture unites us even in our differences, said Popa. 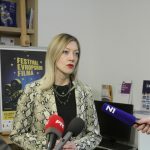 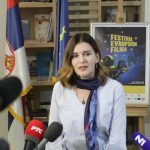 Coordinator of the European Film Festival Marija Stevuljevic said that the audience will have a chance to see 27 fresh European films. 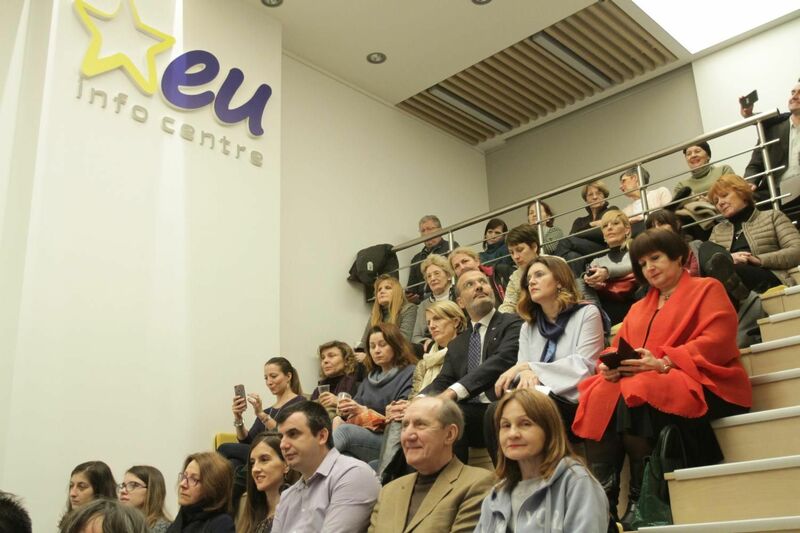 Organized by the EU Delegation to Serbia in cooperation with the European Union National Institutes for Culture Network (EUNIC), the festival offered an opportunity for audiences in 14 Serbian towns, and now in Belgrade, to see these outstanding achievements.